The Flaming Nose TV Blog is very happy to participate in a second article for the Summer of MeTV Classic TV Blogathon! From our first outing detailing the intergalactic love affair (of sorts) between Dr. Zachary Smith of Lost in Space and the Girl from the Green Dimension, we are going back in time to visit the American frontier of the long-running classic western series Bonanza. We've still got our minds on romance, though. 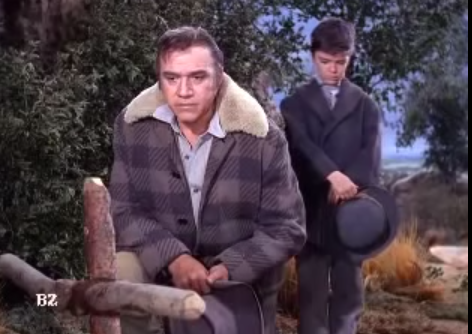 Unlike a lot of popular TV westerns which offered distaff characters as regular cast members -- The Big Valley, Gunsmoke, The High Chaparral come to mind as contemporaries -- Bonanza was devised as a series revolving around a man and his three sons as the main unit. Not that ladies weren't found on the Ponderosa, but the masculine quartet was the foundation of the dynamic of the show. 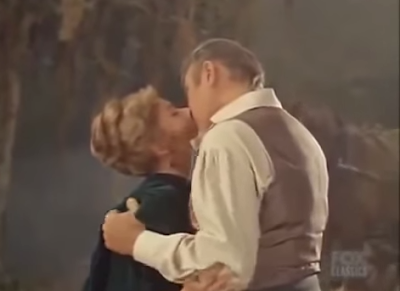 In fact, the very mythology of Ben Cartwright himself and the establishment of the Ponderosa Ranch includes not one, not two, but three women who aided Ben in his quest for fulfillment of his dream even though none of them lived long enough to enjoy the fruits of his labor. It's not going far to say that generally Bonanza was tough on women. 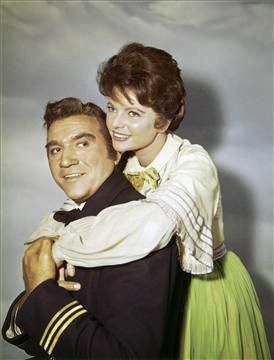 With the absence of regular female characters, Bonanza relied instead on an impressive parade of wonderful lady guest stars, providing work for a generation of Hollywood actresses who got their chance to dress in crinoline and have their day in Virginia City. The list is truly amazing; for a fascinating look at the array season-by-season, visit the TV Gems Bonanza section by clicking here and you can select female (or male) guests stars, most illustrated with photos. You will want to watch all the episodes. As you can imagine, some played girlfriends of the Cartwrights, father and son, some were wives of townspeople, some were ladies captured by Native Americans, some were showgirls or actresses, some were gypsies, some schoolteachers and everything in between. Most were hardworking, a few were floozies, and more than a few lost their lives, including the three characters who played the wives of Ben Cartwright and the mothers of his sons. Even if Ben wasn't able to have a girl to call his own over the long haul, his marital outings offered important opportunities for a trio of terrific actresses to add an important dimension to the Cartwright family and Bonanza lore in general. Ben's first wife was Elizabeth Stoddard, the daughter of a New England sea captain for whom Ben worked during his years as a sailor and for a short time as a ship's chandler. Elizabeth was played by the extremely talented actress Geraldine Brooks, a Hollywood veteran who made her movie debut in 1947 starring with Errol Flynn in Cry Wolf and followed that up with a string of film roles. 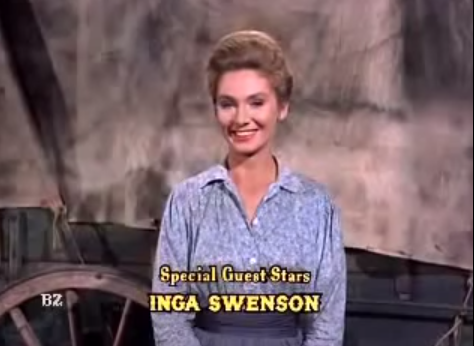 She would really make her mark in television, working steadily in the early years of the medium and becoming by the 1960s one of the most sought after guest actresses in series TV. 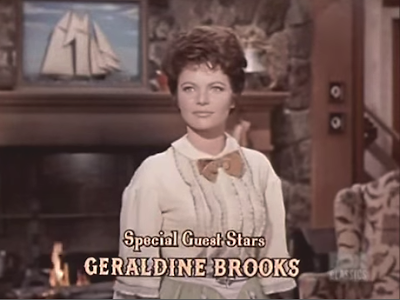 Be sure to look at Geraldine Brooks' entire filmography by clicking here for IMDb. 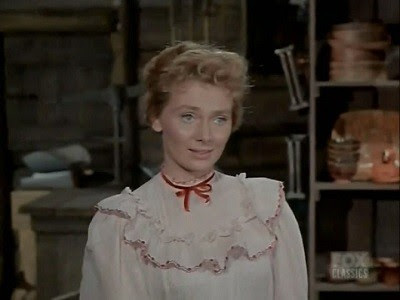 Though often cast in super serious roles, Geraldine got the chance to play someone happily in love in her Bonanza episode "Elizabeth, My Love" which aired as one of the last episodes in season 2. Not that Elizabeth had it easy; her out-of-a-job seagoing father lost his calling, was preyed upon by an unscrupulous slave merchant, and took to the bottle. However, she and Ben were married -- not shown in the episode -- and quickly she was expecting his child. But happiness was not to last, as Elizabeth had a hard time delivering Ben's first son Adam and expired soon after the birth. A despondent Ben left to pursue his dream of finding himself in the West, taking along an old Irish nanny and his son and leaving his father-in-law sadder and more sober on the East Coast. Several years went by before Ben found his second wife as he made his slow journey across the country to eventually end up in Nevada. In a small town Ben met Inger Borgstrom, a Swedish shopkeeper who soon captivated him with her natural beauty and generous personality. In "Inger, My Love" Inger was played by acclaimed American actress Inga Swenson, a veteran of stage and screen who in fact appeared in the major motion picture The Miracle Worker the same year -- 1962 -- that she first played the role of Inger on Bonanza. Despite a jealous former suitor and a brother who didn't want to lose her, Inger cast her lot with her beloved Ben and his young son and they continued Ben's westward migration together. Unlike any of the other wife stories, Ben's short life with Inger was continued in a follow-up episode two seasons later entitled "Journey Remembered". 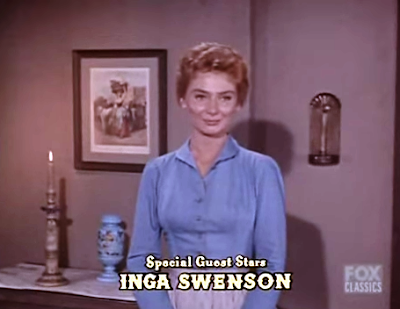 Inger gave birth to Ben's second son Eric, forever to be known as "Hoss" which in her first episode her brother had explained meant a friendly man. The happy family was destined not to last, however, as Inger took an arrow in the back during a brutal attack of Native Americans against the settlers. Two down, one to go for Ben. In "Marie, My Love" Ben's third wife was the sparkling, captivating and extremely comely Marie DeMarigny, a New Orleans beauty with a tempestuous past, a previous (now dead) husband, and a supposedly (though a later episode would belie this) dead son. 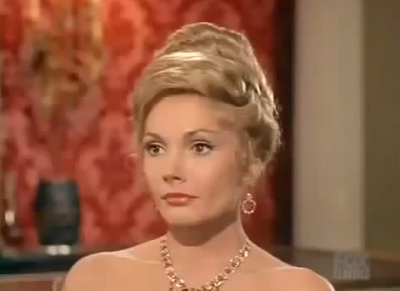 Marie was played by the lovely actress Felicia Farr (once Mrs. Jack Lemmon). All of her intrigue and scandal didn't stop Ben from falling for this most glamorous of women and she ended up being the longest lasting of Ben's three wives. She gave birth to Joe -- Little Joe -- who inherited his mother's charm and winning personality. Unfortunately, Marie would meet her demise some five years later in a horse riding accident on the nascent Ponderosa. Yikes. None of the deaths of Ben's wives were shown except for Inger's death by arrow. Considering that the producers of Bonanza were backing into the telling of Ben's romantic past, needing to cast actresses who seemed believable as the mother of Adam, Hoss and Joe, they did a marvelous job. Geraldine Brooks seemed completely like she could have given birth to the querulous and intellectually strident Adam. Inga Swenson would have been exactly the kind of woman to have produced the kind, strong and open-hearted Hoss. 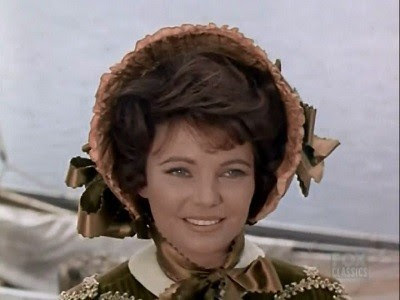 Felicia Farr was the perfect choice to have been Little Joe's mother -- Joe the heart-breaker, Joe the prankster, Joe brimming with charisma and life. 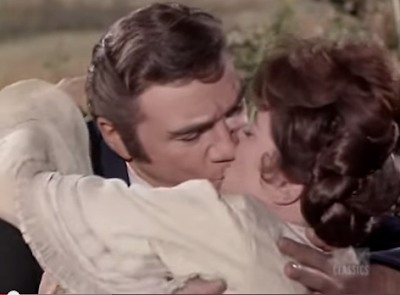 In contrast to the sad fates of the Cartwright boys' mothers and Ben's wives, Bonanza the series is alive and well on TV, on DVD, and on the internet. As a companion to MeTV's airings Mondays - Saturdays, you can visit several great Bonanza resources on the net. Take a visit to the Bonanza Boomers site (click here), full of wonderful info, photos, original fiction and many other delight. Another great place is Bonanza Brand (click here) similarly chock full of a bevy of Ponderosa treats and information. 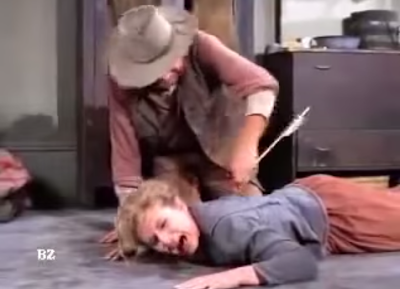 Another great source is the Bonanza Wikia site (click here). Be sure to read and enjoy all the other great articles in the Summer of MeTV Classic TV Blogathon! A fascinating post about the Mrs. Cartwrights I never knew about! 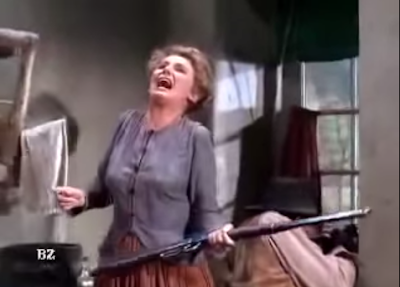 I don't recall the other actresses, but remember Felicia Farr well from Western classics like 3:10 TO YUMA and JUBAL. You could write a sequel about the love lives of the Cartwright sons. I remember Adam let his fiancee marry his cousin and Little Joe got married--only to lose his wife in a horrible tragedy. Life could be tough for ladies on the Ponderosa! Wow I never knew the complete back story for all three wives! It's shocking the boys grew up so healthy and happy. I always sort of considered Hop Sing the "Mom" to them all! Fascinating post Ms Lisa! Fantastic post! I'm a Virginian fellow myself but my wife and I have a dear friend who loves Bonanza. Not a little... a lot. She bought the German DVD box sets before they started coming out in the United States. And, she gets together with a group of folks who visit locations and have conventions and... they treat Bonanza the way that others treat Star Trek or Buffy the Vampire Slayer. She has also mentioned the problems that ladies have with the Cartwright boys... and she also told us about something called "twinkle shots." But, I won't share that one.